Get this, indoor plants have many health and economic benefits. Add natural plant life to any space and watch it come alive. Just look around South Florida; some of what sets us apart is the use of tropical landscaping. It makes the ordinary extraordinary. Plants have the same impact indoors. Studies show that not only are they a spectacular addition to any environment, there are also many other benefits. The average person spends 90% of their time indoors. The indoor air quality is generally more polluted than outdoor air quality and can be attributed to more than 2.4 million illnesses each year. For those who seek a clean, healthy environment, plants are an essential element for work or home. Plants improve air quality by helping to remove harmful chemicals while converting carbon dioxide to oxygen. This allows humans to be more focused, creative, attentive, happy, and yes, much healthier. In a business setting, plants have been shown to increase productivity, occupancy and retention rates. Think about this…in hotels, rooms with a garden view are often the first to be reserved and command premium pricing. 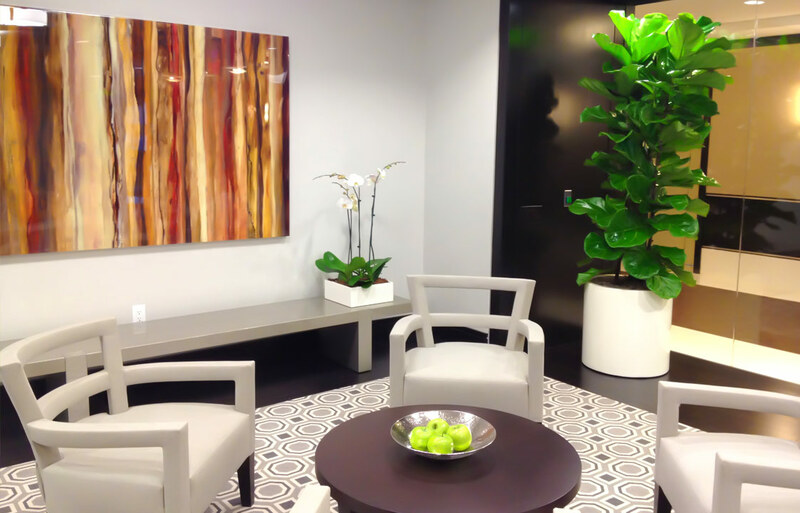 Leasing interior plants is a fast, cost-effective method for changing negative perceptions of an area. We take plants seriously when it comes to reviving your interior spaces. Our interior landscape designs make you feel and look revitalized and put your mind at ease while you work. With over two decades of experience in leasing and maintaining indoor plants in Florida, our expert team will work with you to design an oasis worth escaping to. We have provided lush, vibrant plantscapes to every type of setting and have worked with everyone from property managers, interior designers, architects, office managers, and residential clients. Whether you have a small office, or large project, the same attention and quality is given to be sure that you are completely satisfied with our services.